Drive less: Walk, bike, ride share, Carpool, combine errands, and take public transport. Protect butterflies and bees: Add more pollinator friendly plants to your yard or balcony, and eliminate your use of pesticides, and all chemicals in your home. Your family, your pets, birds and butterflies will be much healthier. Reduce or eliminate beef from your diet. Producing beef uses lots of energy! Go meatless and fishless several days a week! 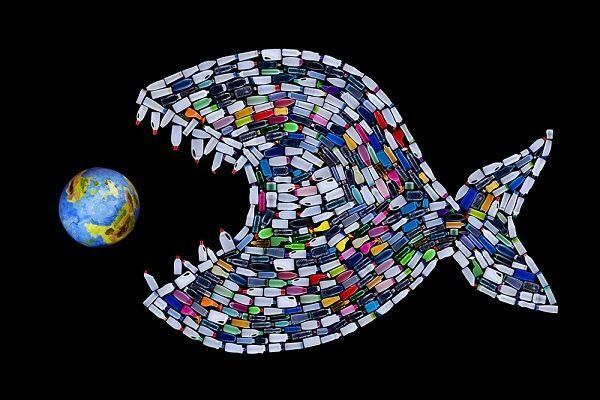 Reduce all plastic use, and recycle, recycle and recycle everything you can. Always work for zero waste. Walk: Everyday get outside to enjoy nature. Do we want waterways that look like this? This shouldn’t surprise me, but I am upset to read about the plastic trash in the Arctic Ocean. Plastic trash is now so ubiquitous that researchers have found hundreds of tons of it floating in the Arctic Ocean. Read the whole story here. Why shouldn’t I be surprised by this? The “local control” advocates, in the Minnesota legislature are trying to derail Minneapolis’ plastic bag ban from happening later this year. I have just returned from a road trip to Washington, D.C. and I found only a few places to recycle along the way, most on college campuses. I could go on and on about what I see throughout the world in regards to plastic trash. A sad story about a whale collecting all this plastic . Our earth has a massive problem! Plastic breaks into tiny pieces and wildlife eats it! Where are the companies that manufacture and make a profit on this plastic and Styrofoam when it comes to clean-up? The oceans belong to all of us. No one has the right to pollute and trash the ocean or the rivers or lakes. What can you do? Have plastic-free shopping trips by bringing your own containers, and never purchase products on Styrofoam trays. 2. Encourage your community to put up and maintain recycling containers. 3. Pick up trash on your walks. 4. Recycle everything you can. 5. Always bring your reusable bags shopping. Last, a remote Pacific island has become a reservoir for the waste of the world as it piles onto this pristine island.